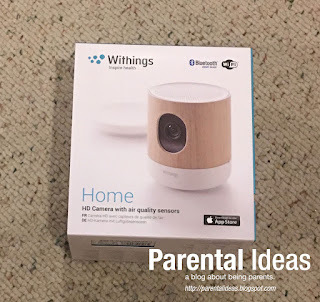 The Withings Home Baby Bundle - Wireless Video Baby Monitor is a great Wi-Fi security camera with a lot of embedded perks: video streaming, air quality monitor, push notification alerts for motion activity and cloud storage of video footage. The Home packs a 5 megapixel HD camera with infrared night vision that has a field-of-view of 135 degrees which is pretty wide without looking like a wide angle camera. It has sensors for sound, motion and air-quality which will be able to alert you via the companion iOS app (iPhone, iPad, AppleTV or Apple Watch). The product is great because it has two-way audio with “push-to-talk” option via the iOS app that let’s you speak to whoever is in the room. They also have a baby bundle package which pairs the camera with two covers: one blue and one pink which slip over the woodgrain finish. We think this product is a great option for families who are looking for a baby monitor or just a plain security camera. The two-way audio is a great way to soothe your baby to sleep from anywhere by just using your iPhone and the camera. You also have the option to turn on a Lullaby mode which turns on an LED light and sound program to lull your child back to sleep. Priced at $199, it offers quite a few bells and whistles to help ease parents’ anxiety. The air-quality monitor is really nice because it can warn you when carbon-based Volatile Organic Compounds (VOCs) in parts-per-million go above a specified thresh-hold and also tracks the data so you can try and figure out if it’s a one-time occurrence or something that needs to be looked in to. The Apple Watch integration is really nice because you can also be notified when there is motion and just glance at your watch to see an image of what’s going on. 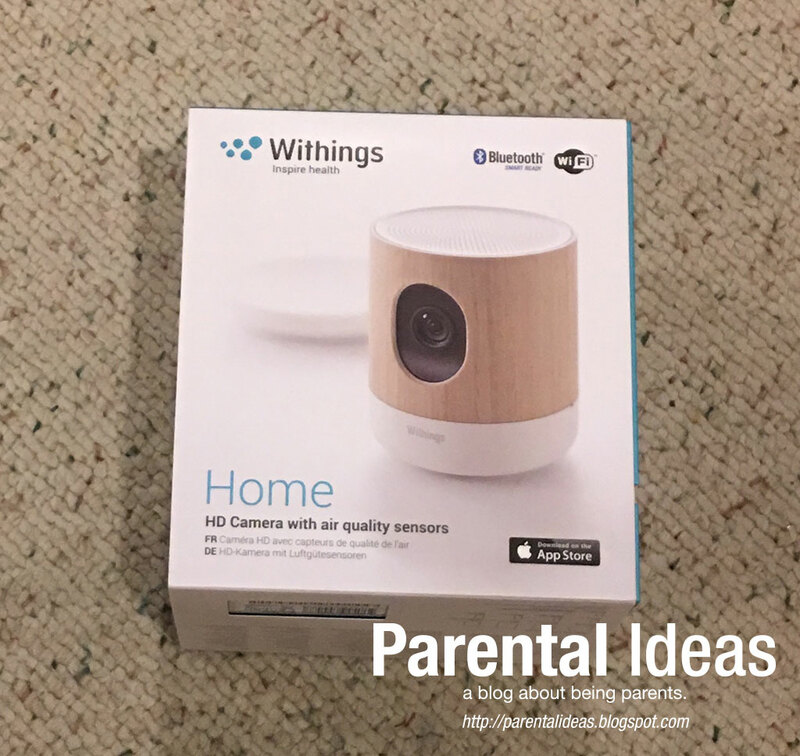 I can’t believe it (and I know you won’t be able to as well) but the great folks at Withings have offered us a Home security camera to give away to one of our lucky readers… Enter through the Rafflecopter below! NOTE: I received a Withings Home to facilitate this review. All opinions are my own. There was no promise given of a positive review, but this camera rocks! Winner must be 18+. This blog post contains affiliate links.